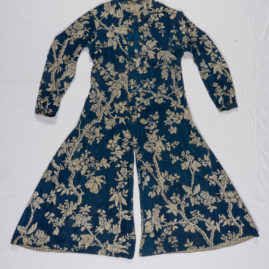 In the late 1700's, affluent men spent their leisure hours dressed in colorful outer robes like this one. 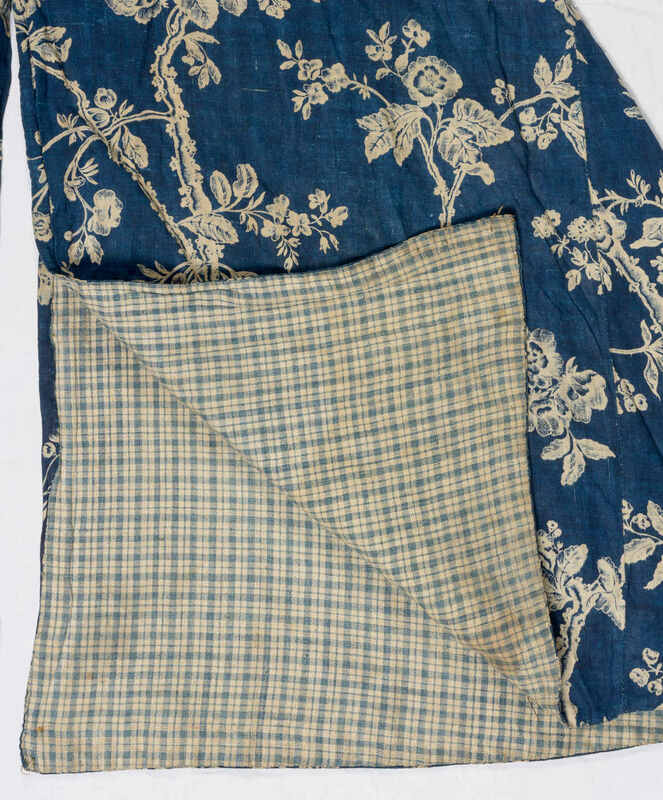 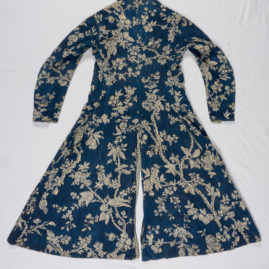 Known as a "banyan," these informal house coats were an alternative to more restrictive and form-fitting daywear. 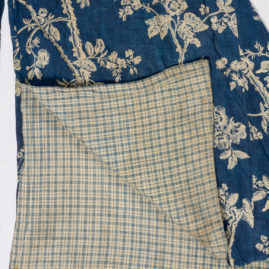 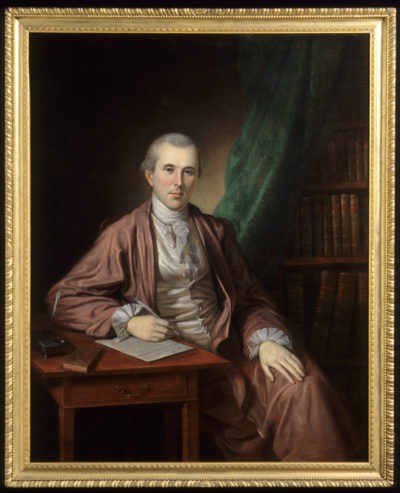 Tailored banyans as well as the popular loose-fitting kimono-style dressing gown seen in the Charles Willson Peale painting were the product of global interactions, inspired by Japanese and Persian clothing styles. 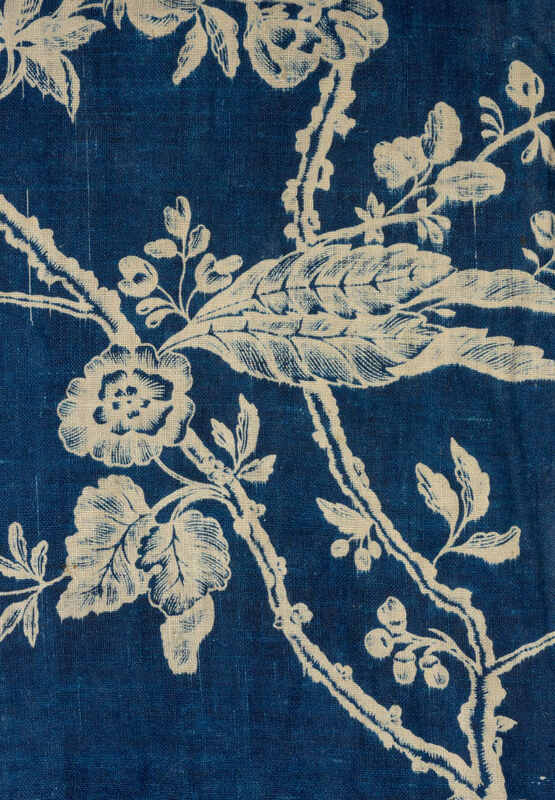 Every stitch of this banyan speaks to the interweaving of cultural influences from across the world. 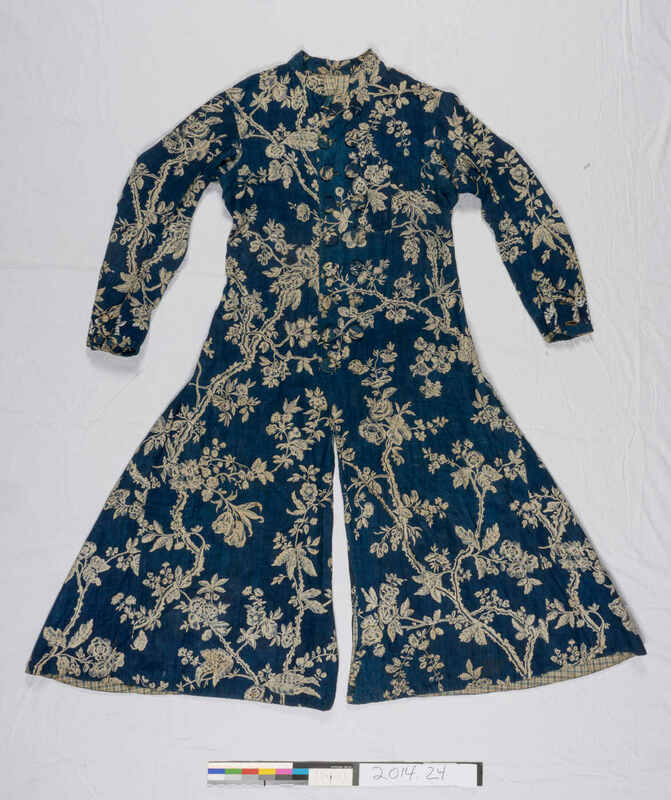 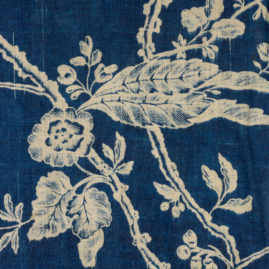 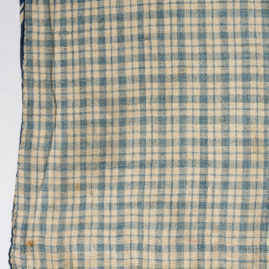 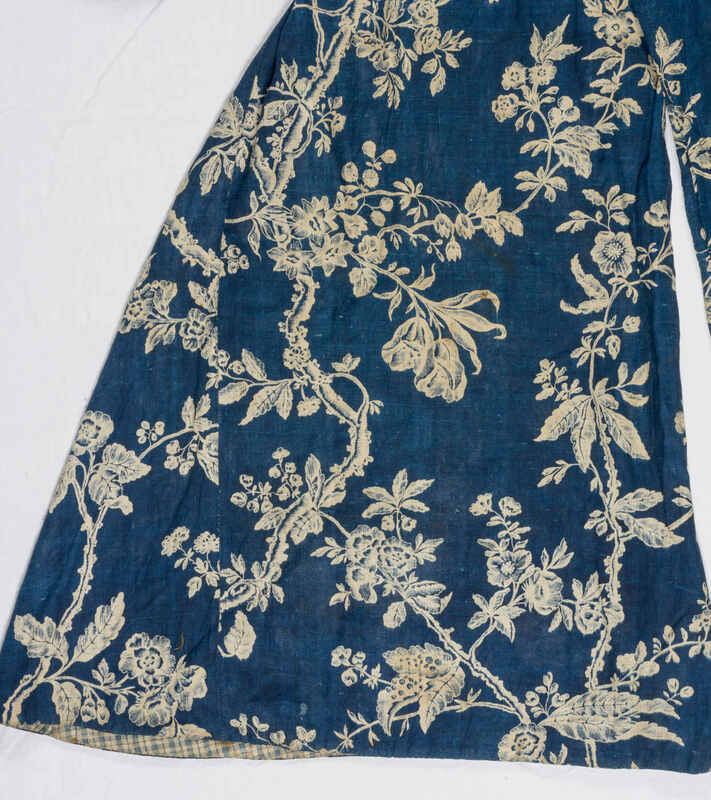 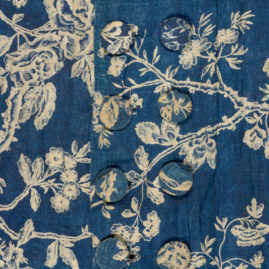 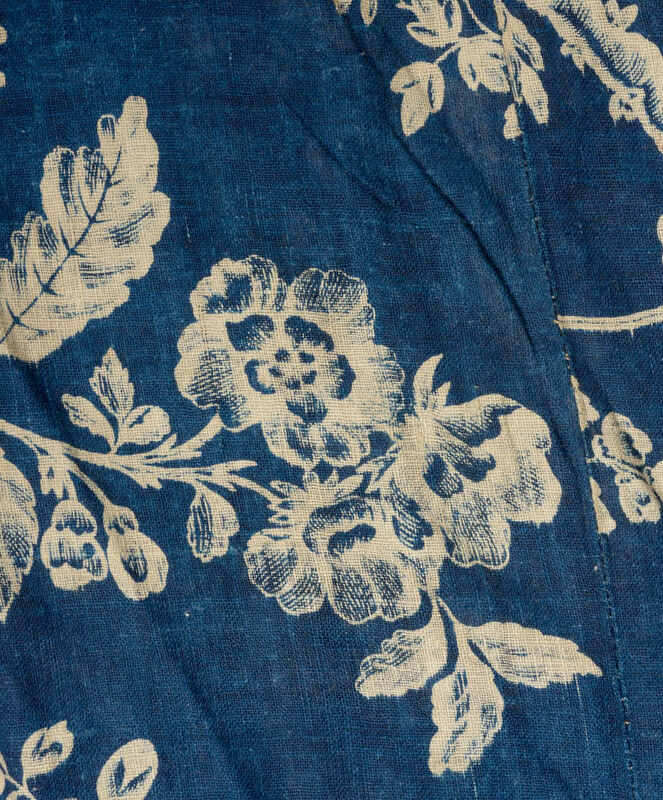 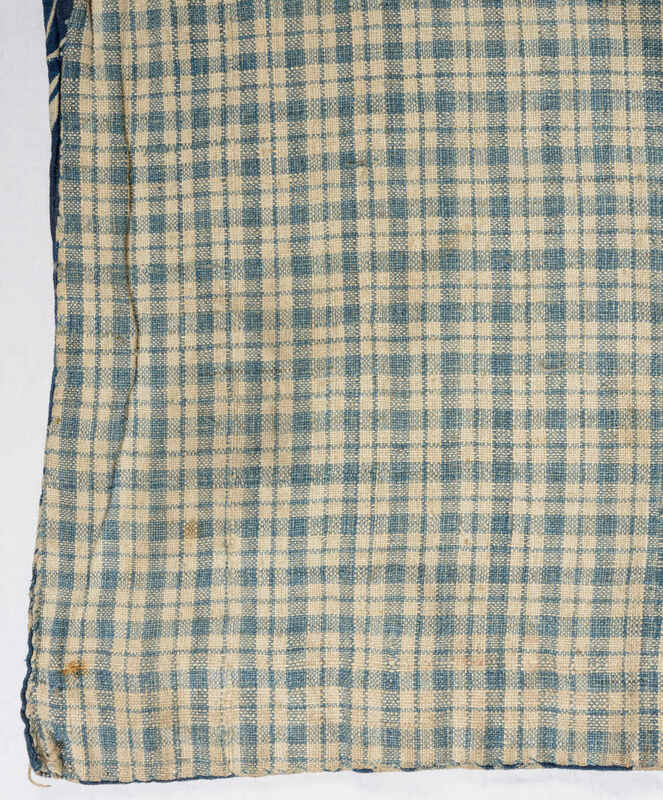 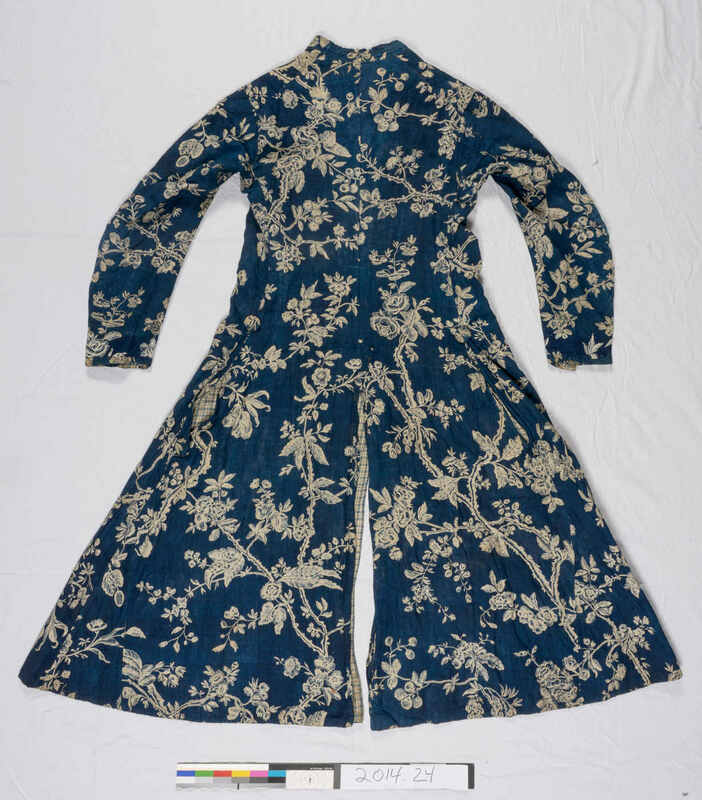 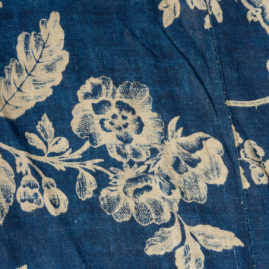 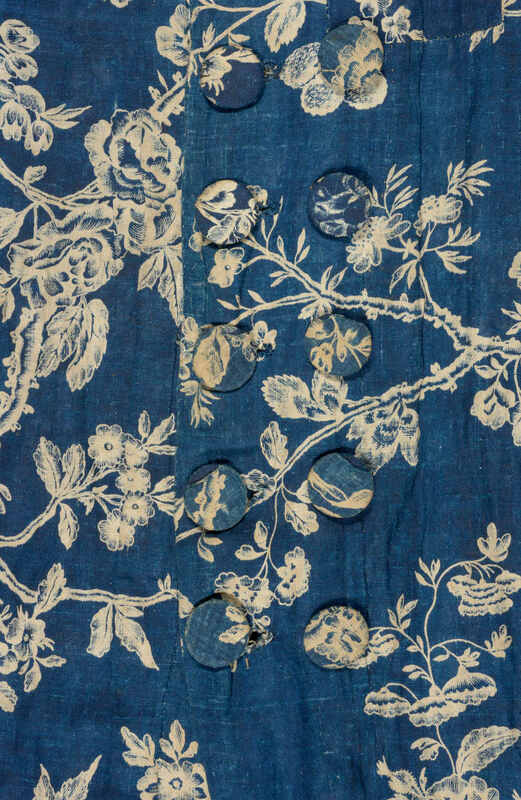 It is probably made from Indian cotton that was exported to England and printed with a blue-and-white design at Bromley Hall, one of London's largest calico printers and exporters. 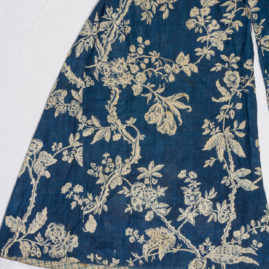 It was then purchased and taken to the Netherlands, where it remained in the family of a wealthy Dutch merchant until coming to Winterthur.